This listing is for 10 Princess Tiara Crown Soap Party Favors perfect for baby showers, bridal showers and princess birthday parties. 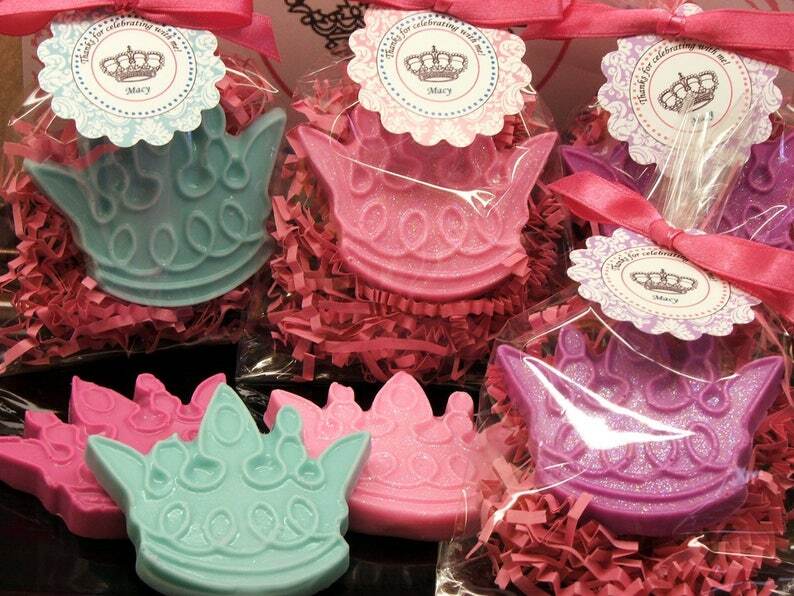 Adorable Tiara Crown Soap Favors scented in your choice of colors and scent. Each favor includes one Crown Tiara Soap Soap with a pinch of cosmetic safe glitter to the soap for a little bit of sparkle. Soap measures apx. 2 3/4" wide and 2 1/2" tall and about 1/4 thick. 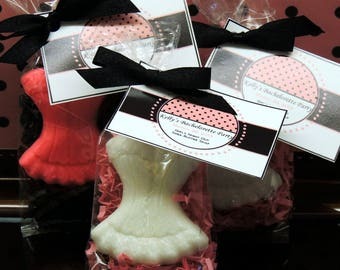 Choose one color and scent per order. Cute Frog Princess Soaps as shown in the last picture are sold seperatly and coordinate great with the tiara soaps for the boys attending princess parties. 4) GLITTER OR NO GLITTER? We can add a pinch of cosmetic glitter for "sparkly" tiaras.